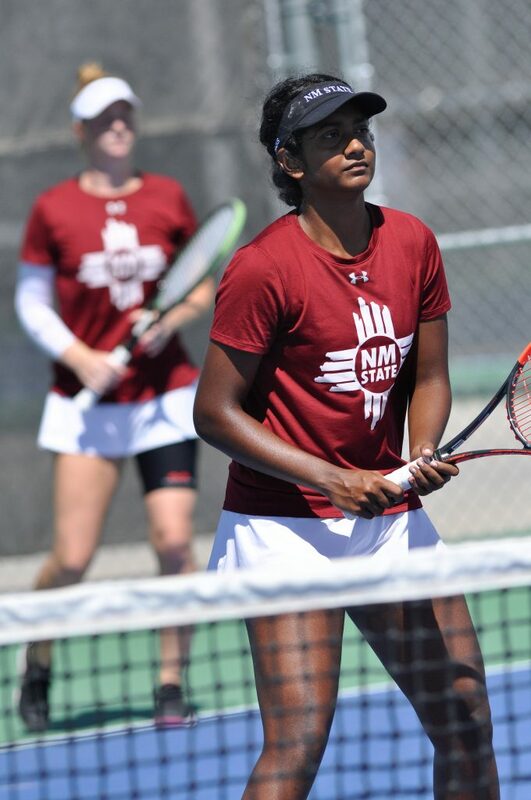 The New Mexico State University women’s tennis team saw success at home in the Aggie Women’s Tennis Invitational held, Sept. 21–23, 2018. The teams that participated were Western New Mexico University, University of New Mexico, University of Texas at El Paso and Mesa Community College. 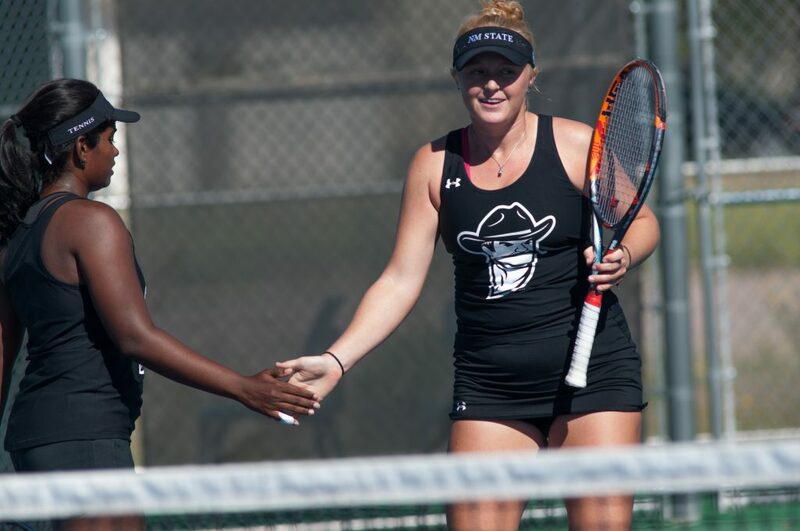 Aggie senior Lindsay Harlas and junior Rebecca Kerijzerwaard met for the individual third-place spot on Sunday. The match was retired early with a final score 2-1, with Kerijzerwaard earning the win. 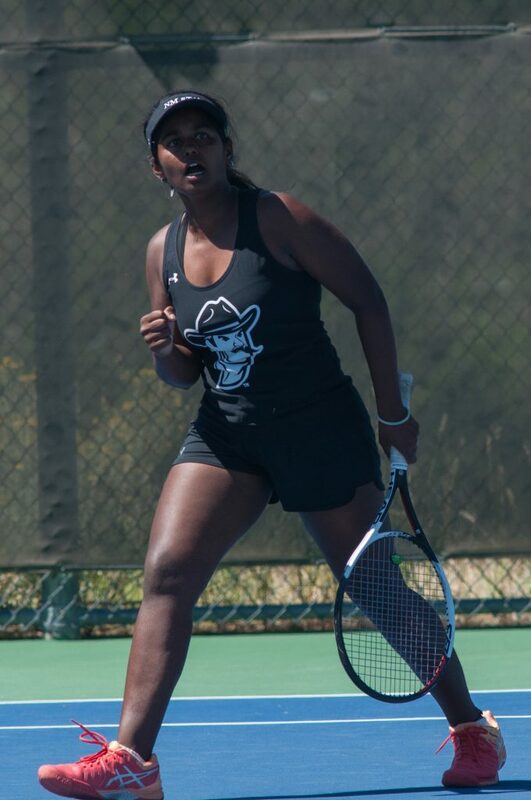 Sophomore Harsha Challa earned the fifth-place spot when she faced UNM with a set score of 7-5, 4-6, 10-8. White Singles was an all Aggie head-to-head championship. 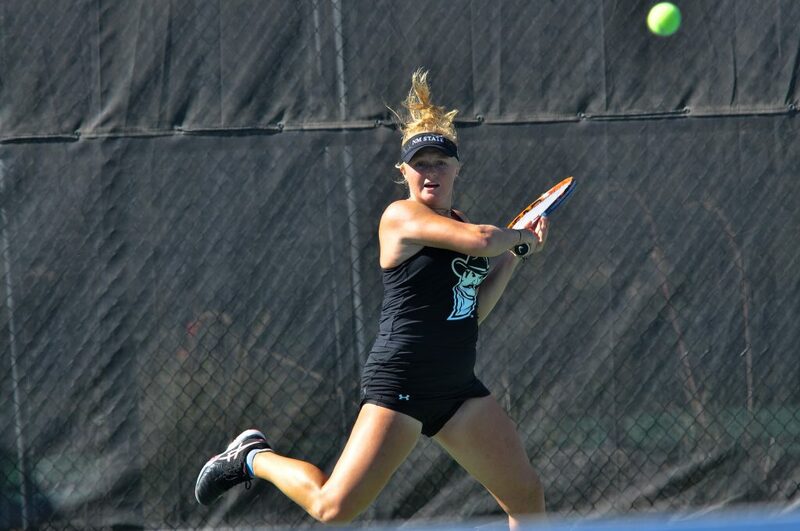 Freshman Chloe Gavino bested Sophomore Quinty Janssen with the final score 6-4, 6-4. 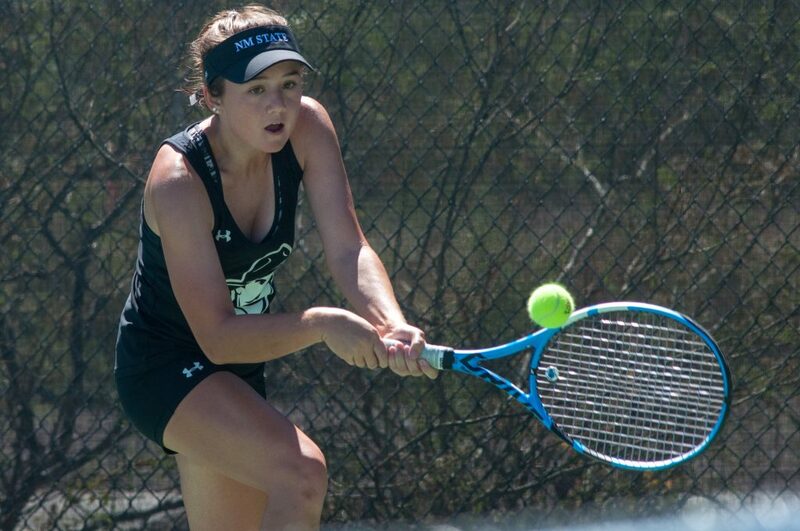 Sophomore Clara Rizea topped UTEP to secure a third-place finish with a set score of 6-2, 6-0. 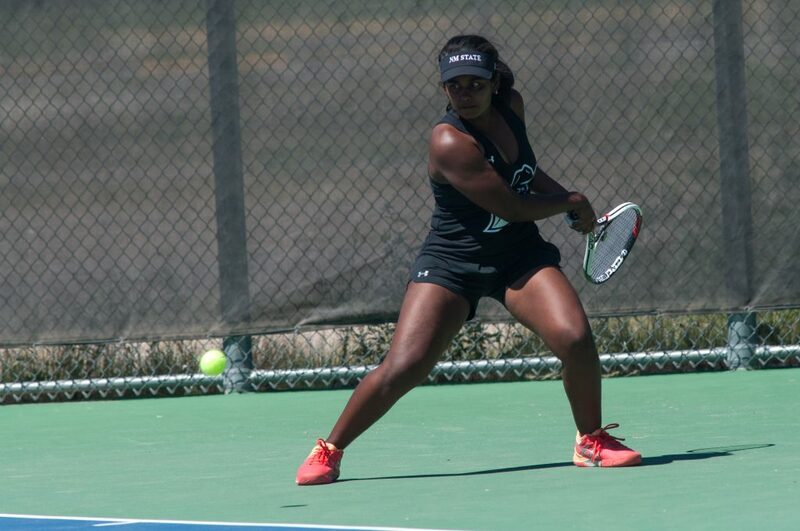 The Doubles Championship ended in an exciting tiebreaker with Harlas and Challa overcoming a shaky first set. 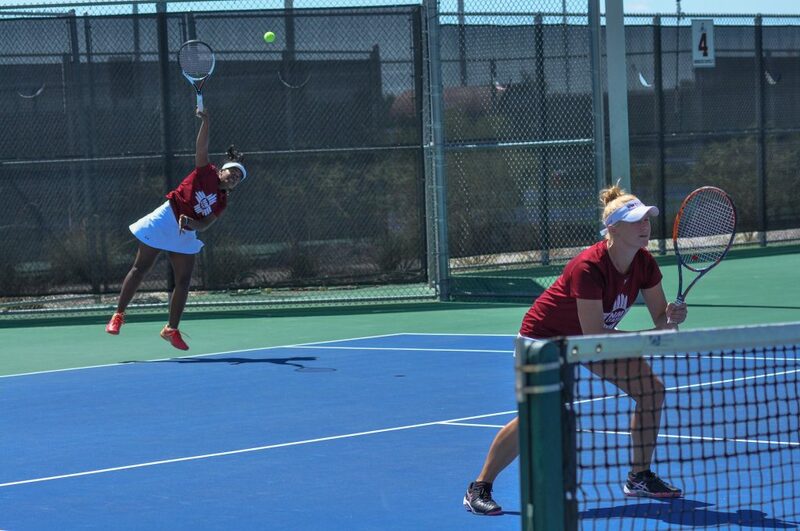 The duo beat UTEP in the championship match with a set score of 3-6, 6-4, 10-5. 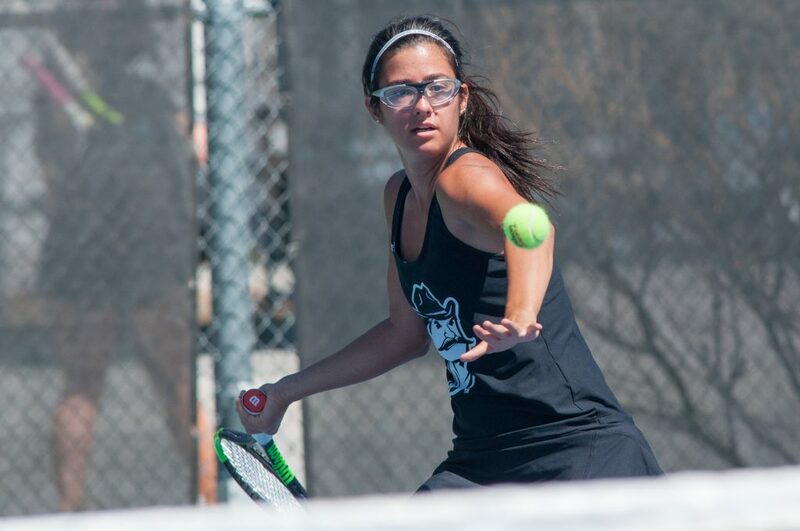 Sophomore Gavi Kalaga and Keijzerwaard fell to UNM and took fourth place with scores of 5-7, 6-1 and 10-5. 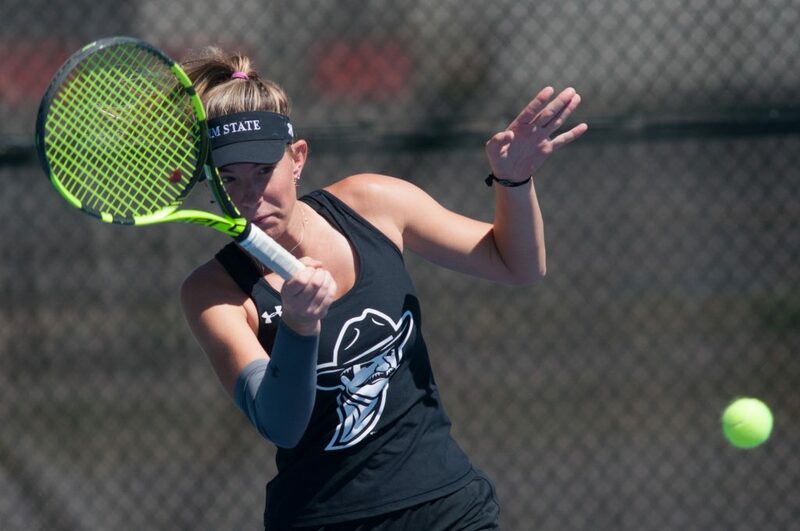 The Aggies will have a few weeks to train for their upcoming regional tournament in Las Vegas, Nevada. 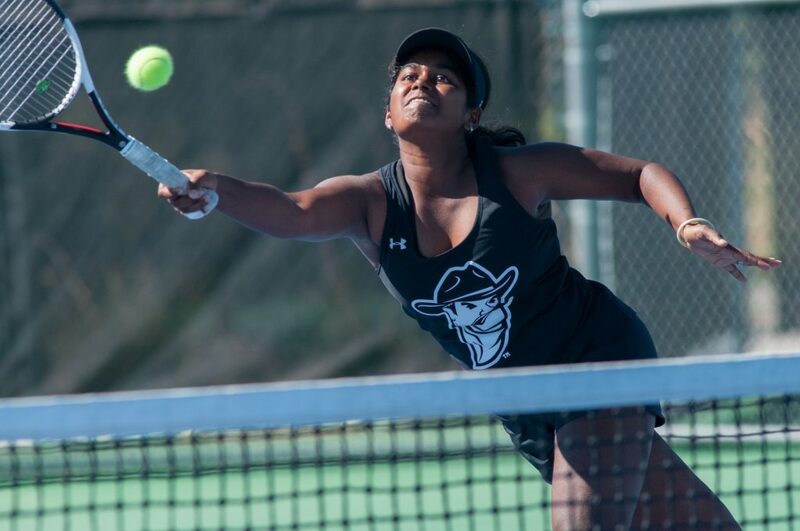 The ITA Mountain Regional Championships will be held from Oct. 10-14.